Ultimate Ears are incredible products but we receive numerous e-mails every month from customers looking for a way to improve the performance and fit of their earphones. Custom made Audio Earpieces from Avery Sound are the answer. Avery Sound Company can provide you with a pair of custom molded Audio Earpieces giving you the comfort and sound quality you deserve while reducing outside noise and they won’t fall out of your ear! How do I order a custom earpiece for my earphones? Click on the blue Shop Now button below the product offered. 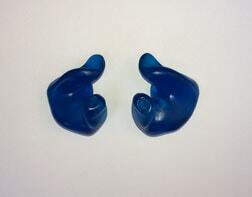 If placing and order for two or more sets of earpieces, let us know if the earpieces are for the same person. If for different people, please specify the name and color for each person in the comment section before check out. Once your order is received, we will ship a set of impression kits to make an impression of each ear (or in the case of deep impressions, we will email you a Lab Order Form, see deep impression advisory). Mail the completed impressions to our lab using the postage paid mailing materials or to the address at the bottom of the lab order form. We will use your impressions to make a reverse casting and return to you a set of custom made earpieces that will fit on your earphones and are guaranteed to give you the comfort and convenience you have been looking for. Which Ultimate Ears will work with Avery Sound Custom Earpieces? 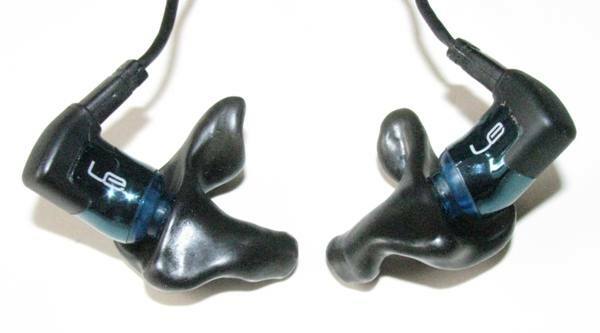 The earpieces are not only custom fit for your ear but are custom fit for the specific model of Ultimate Ears. 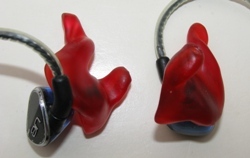 Shown below is one example of Ultimate Ears with custom earpieces. 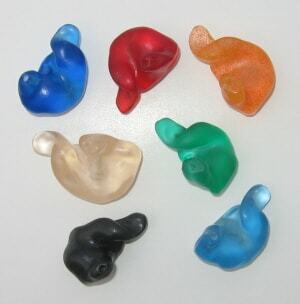 We can make earpieces for a variety of Ultimate Ears models. Send us an e-mail if your model is not pictured. I received my Ultimate Ear 10's a while ago and they are great .. keep up the good work. Thank you. I received my ear pieces. They are amazing! I do want to take advantage of ordering a second pair. Can you make that happen? Thank you for your suggestion on getting the molds professionally done. Got my earpieces and they fit very well - Thank you! Used them on my bike today and I can finally hear the music and they really cut down the highway noise. It took me along time to figure it out but these are definitely the answer. Once again - thank you for the great job. I have used several Avery Sound molds on different equipment and they consistently perform as advertised. The customer support at Avery Sound is excellent.